Well, here it is…. I did it again. I bought something with my logo on it. I have carried Zippo lighters for years. Although I don’t smoke cigarettes, I do like cigars and tobacco pipes a lot. Cigars are a bit expensive so I do tend to just grab pipe tobacco and go at it that way. Carrying a lighter really isn’t about using it to light tobacco (or other stuff if you live in WA, OR or CO). These things are VERY handy in a variety of situations such as ridding your clothes of those pesky threads, melting the ends of paracord, starting campfires, lighting incense (or sage in my case), etc. Let’s face it, the savior of any birthday party is the one that has a way to light the candles. Even Dr. Henry Jones carried his lucky charm that allowed him to escape the Nazis (movie reference for those that didn’t catch it). The way that I discovered that Zippo did custom orders was through sending them my older lighters for repair and swapping out standard inserts for pipe ones. The pipe ones have a big hole in them that allows the lighter to be turned sideways without extinguishing the flame. 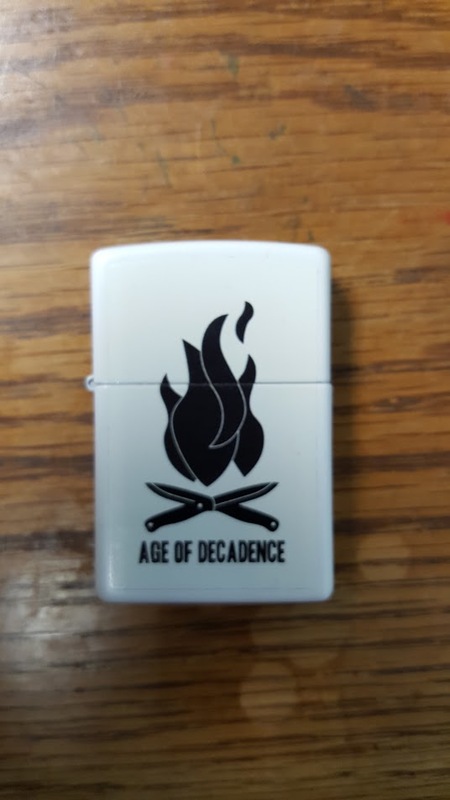 If you have a Zippo, you can actually contact them at this page, send in your lighter and they will replace your normal insert with one designed for a pipe. They have two other lighters of mine right now getting swapped out. Interestingly enough, it is quite difficult to find Zippos with the pipe insert that don’t have a stupid pipe emblem on the bottom. Good luck finding one that is camo or has a Harley emblem either. They just don’t send them out that way. Personally, I think you should be able to buy them from Zippo directly with the option for the type of insert. Ignoring the fact that I just complained about Zippo in the previous paragraph I really love their lighters and carry one most of the time. They are windproof/resistant, light even when it gets REALLY cold, are tough as hell, and are a piece of gear that you can really depend on as long as you keep it filled with fluid (don’t overfill and put it in your pocket if you don’t want funny rashes on your leg). 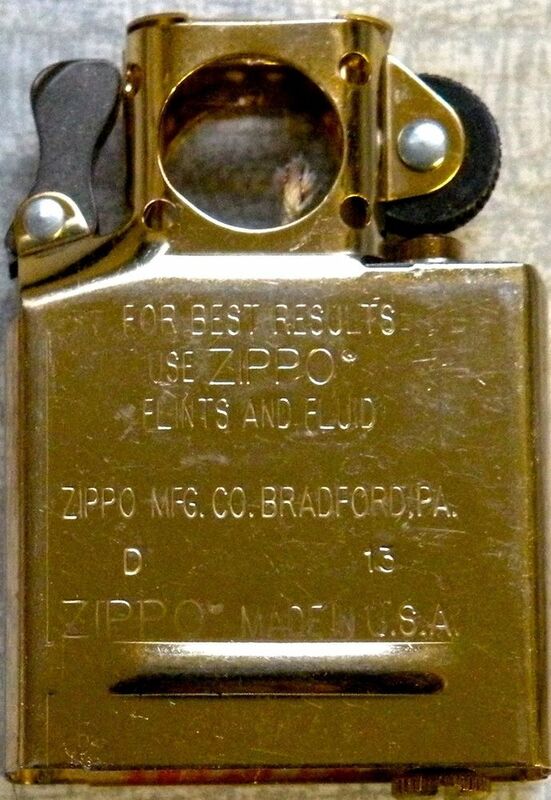 For those that don’t have a Zippo, I recommend getting and carrying one. It worked for those in WWII, Korea, and Vietnam so if they NEEDED them for survival I guess I should carry one, too, just in case. I know that I am not in a war or having to fight my way from hilltop to hilltop, but if the reality is that a lightweight piece of gear was so important that everyone carried one at one time I have no problems tossing one into my pocket. It just makes sense to learn from my elders when it comes to that sort of stuff. Now for the important part of this whole post: My Zippo is AWESOME. They really did a great job on it. All I had to do was import my image on the website, center it and pay with a credit card. You can do any number of different types of images from family pictures, personal logos, kid art, whatever. Giving a Zippo with a family picture to your pops for Father’s Day is a great gift idea. The cost is only $15 over the cost of the lighter plus shipping. Go get yourself a lighter with your personal touch, people!!! This entry was posted in Emergency Preps, Miscellaneous and tagged custom zippo, lighters, zippo on September 23, 2016 by Woodsbum.